Bactrian Camel Toy Miniature Replica is double hump camel plastic animal toys educational play fun at Animal World®. 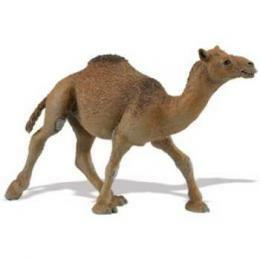 Made of safe, durable bendable plastic this camel toy is perfect for school, education, fun and measures 4.5"L x 4"H x 2"W. Shop our Camel Gifts Store at Animal World® for all our camel gift ideas. Shop our Animal Toy Replicas at Animal World®. for a complete toy animals selection.